(Apples, Macoun) The Macoun apple is a crisp, tart-sweet delicious eating apple. Macoun (sometimes pronounced "McCowan" or "Macoon") was developed at the New York State Agricultural Experiment Station in Geneva, as a cross between the McIntosh and Jersey Black varieties, by R. Wellington. It was named after Canadian fruit grower W.T. 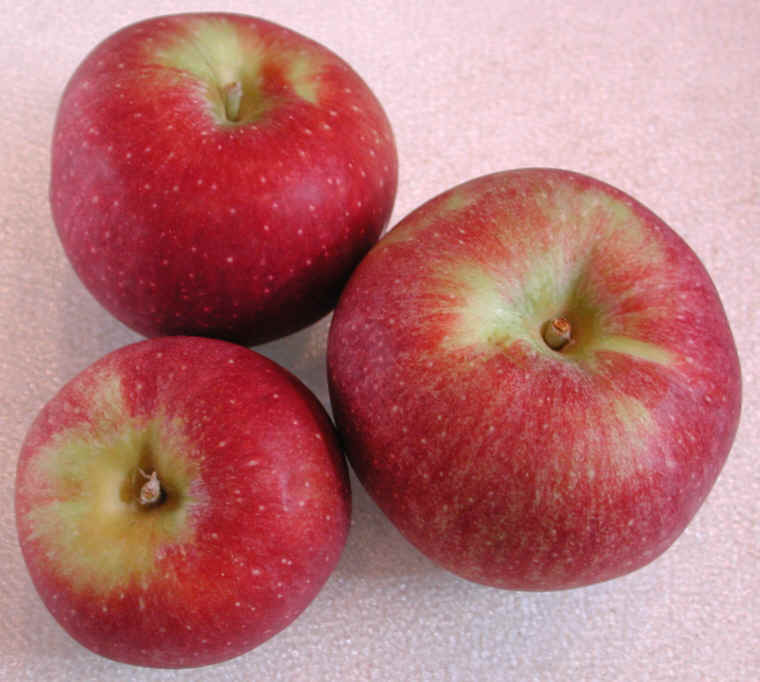 Macoun, it was first introduced in 1923, and has been regarded as one of the finest eating apples in the Northeast. 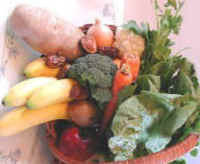 Macouns are also very popular at roadside stands and pick-your-own farms. Availability is generally October through November. Aside from its short season of availability, the popularity of the apple is somewhat compromised by the problems it gives orchardists. The Macoun has a short stem, and there is a tendency for the apple to push itself off the branch as the fruit matures; also, the Macoun tends not to produce reliable crops each year, with a good harvest followed by a sparser one, as a result, we have only found Macoun apples for sale at farm stands. See the nutritional chart for general apples below.